There is no photo that can possibly demonstrate the absolute sparkle of this pendant, but we took a picture anyway. 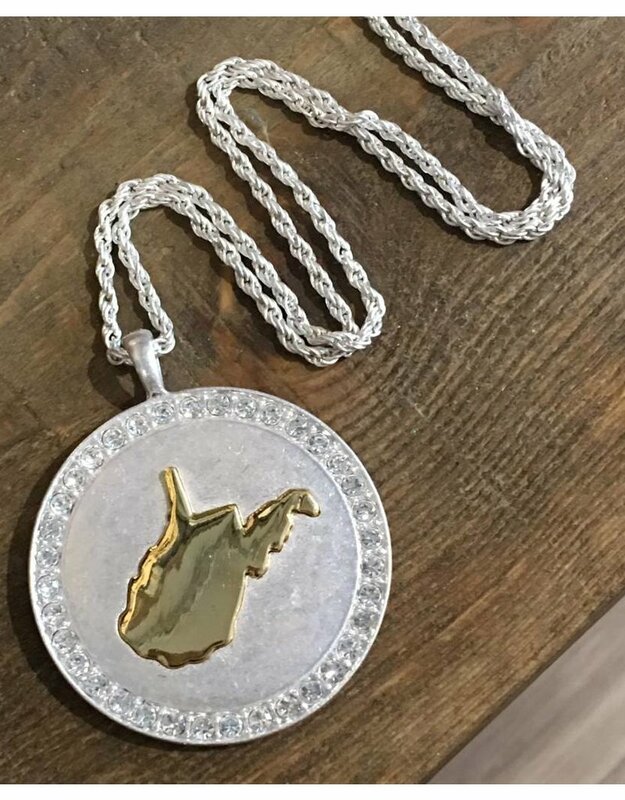 A gold West Virginia outline is centered in the center of the 2" silver disc, which is surrounded by clear rhinestones. This piece gives us life. 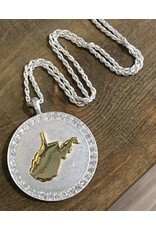 28" and a 3" extender; all jewelry has an e-coating which helps to protect from tarnishing and skin irritation to the wearer. All are nickel free and are primarily a zinc composition.